Sorry for the absence! It was my birthday yesterday so I was a bit busy during the week with bits and bobs so I’ll hopefully be posting some reviews soon now that everything’s done. I figured I’d give you a little reading update because weirdly I’ve been reading a lot more recently even though I’ve been busier. 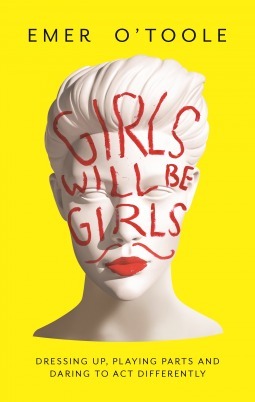 I’m currently reading Girls Will be Girls: Dressing Up, Playing Parts and Daring to Act Differently by Emer O’Toole which I won in a Goodreads giveaway. It’s a non fiction memoir sort of book about one woman’s experience with gender and feminism throughout her life. I haven’t read much yet but from what I have read it’s really interesting. I’m still 8 books behind on my 100 books Goodreads challenge so I’ve been doing my best to catch up so after Girls Will Be Girls I’ll probably read Saga V3 because I know I’ll fly through it.